Knights of Creativity Spirit & Ale: Product of My Environment! 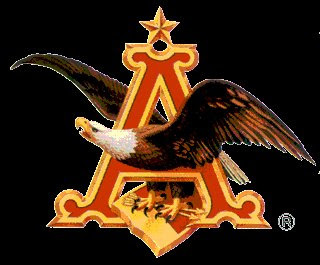 As I've mentioned in previous posts, I grew up in and live in a Midwest U.S.A. Community that is rich in beer brewing history – U.S. Beer brewing. Yes, that means that I crew up drinking (and still drink) what the rest of the world would call “flavorless swill” -- including Budweiser brands. There is still hope. Thanks to more and more imports becoming available in the past few years, I'm growing to really love what “real” beer is all about – including some very flavorful Belgian brews. Budweiser might market themselves as the “King of Beers,” but the Belgians brew among the finest. It turns out the the rest of the world sees Budweiser as a WEAK beer – but it's a MIGHTY brand. How mighty? How about $46-billion. 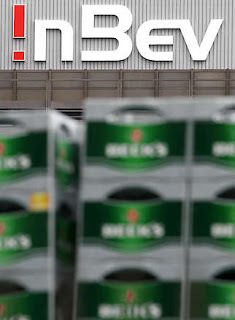 The Belgian/Brazilian brewing giant InBev announced Wednesday that it is making a $46-billion U.S. attempt to buy Anheuser-Busch, the leading brewery in America and the maker of Budweiser. It's a great marketing lesson in branding, class associations, unlimited advertising budgets. Let's have a beer sometime and discuss how all this is playing out. I'm not too surprised about Bud going Belgium. After all, they sold the St. Louis Cardinals even though the stadium is still called Busch stadium. That is almost as big a brand as their beer Money always speaks louder than brand loyality. Anyway, now they can start talking French and German in St. Louis again. Back to roots!